Brothers Hypnotic seems like it does everything right. It’s a good looking doc and an even better sounding one. Filmmaker Reuban Atlas knows how to show how music can explode with vibrance as various crowds bob their heads happily. All the songs that are featured and played by Hypnotic Brass Ensemble are great examples of the band’s range and how their chemistry expands their performance etiquette. The boys in the ensemble all come across as nice enough, educated guys who love their craft. All the musicians are brothers and – surprisingly – they usually all agree on how they should appeal to their listeners. Their bright attitudes haven’t been manufactured in an editing bay. When these eight chat about playing their instruments, a passion washes over them. You could ask them a question and they would respond with an answer that would go on for hours. 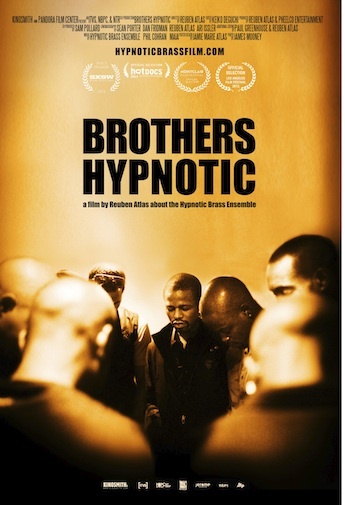 Brothers Hypnotic should be a dynamic concert film that shows audiences how this mixture of jazz, funk, and rap can connect widely given its genre bending context. However, Atlas sees his film in another light that puts more focus onto the members themselves while showing brief instances of how these fellas can shine on stage. The problem is their experience could only keep a short form doc afloat. Not a full length feature. The audience can expect some interesting facts about their childhood since their father, Phil Cohran, is a veteran musician. He was a stern alpha male and his anti-establishment opinions on justifying one’s art has had an outspoken impact on his sons in regards to how the band deals with business. 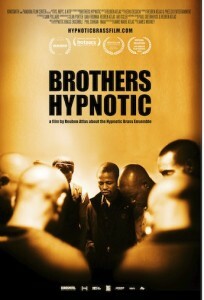 The members of the Hypnotic Brass Ensemble have a unique story to them, but a lot of their history centres around themes of family and brotherhood. When Atlas showcases a story, it always finds a way back to these themes. Watching it is like taking a walk around the same block. If Brothers Hypnotic took the form of a concert flick, Atlas could’ve fallen back to these calmer instances in between songs to punctuate how important family is to the band. By flipping the format around, we get too much of the same and not enough time spent on the film’s strengths. It’s undeniable that the Hypnotic Brass Emsemble are supremely talented. They’re levelheaded individuals who are smart about the field they’re in. 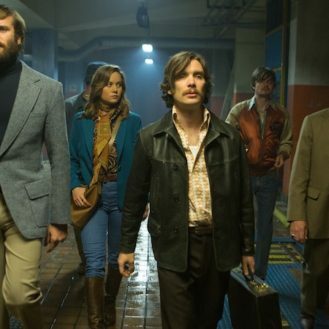 It’s unfortunate that the film that’s supposed to chronicle all of that is unsatisfactory.